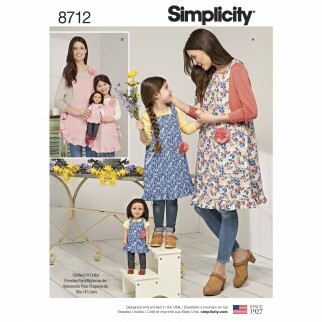 Cute and charming aprons for mother daughter and 18" doll. Pattern includes two different design options that feature beautiful ruffle details. Simplicity sewing pattern.